Companies’ pursuit of “big data”—collecting and crunching ever larger amounts of information—is often thought of as another way to figure out exactly what customers want. But big data is also a means of measuring millions of little things in factories, such as how many times each screw is turned. That is what Raytheon is doing at its Alabama missile plant, writes The Wall Street Journal (May 16, 2013). If a screw is supposed to be turned 13 times after it is inserted but is instead turned only 12 times, an error message flashes and production of the missile or component halts. Improvising with a defective screw or the wrong size screw isn’t an option. 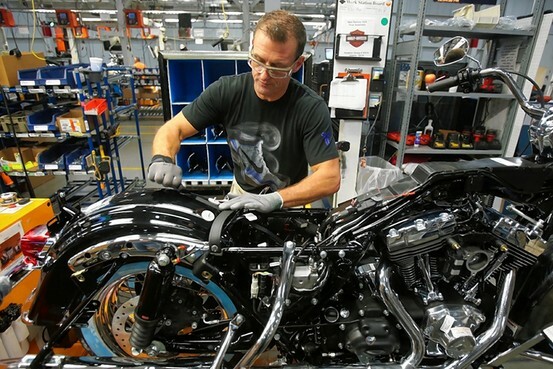 Similarly, At Harley-Davidson’s plant in York, Pa., software keeps a constant record of the tiniest details of production, such as the speed of fans in the painting booth. When the software detects that fan speed, temperature, humidity or some other variable is drifting away from the prescribed setting, it automatically adjusts the machinery. In the past, says Harley’s VP, operators had leeway on paint jobs and each could do the work in a slightly different way. Harley has also used the software to find bottlenecks that could keep it from its goal of completing a motorcycle every 86 seconds. Harley managers recently determined that installation of the rear fender was taking too long. They changed a factory configuration so those fenders would flow directly to the assembly line rather than having to be put on carts and moved across an aisle. Harley and Raytheon are just two of many manufacturers installing sophisticated, automated software systems, known as manufacturing execution systems, or MES, to gather and analyze factory-floor data. Semiconductor and other high-tech companies were early adopters of MES, but now others are catching up. Suppliers include Apriso, GE, SAP, Siemens, and Rockwell Automation. The Wall Street Journal (May 11-12, 2013) provides an interesting insight into Japan’s weakening international competitiveness. Japanese Prime Minister Shinzo Abe has quietly put aside plans to overhaul a rigid labor system that is blamed for many of the woes facing once-dominant Japanese corporations. The workforce at Japan’s largest corporations is one of the most inflexible among developed nations, with a tradition of lifetime employment, a low participation rate among women and strict labor laws. These have combined to make it difficult for companies to shed excess workers, because of the legal issues it would raise and the cultural issues involved. As part of their role in society, corporations have been expected to help ensure full employment. At least seven Japanese electronic manufacturers still produce flat-panel televisions, almost all at a loss. However, some industry executives have said privately that they don’t pull the plug on the unprofitable business because they would need to find other jobs within the company for those TV employees. QueVision monitors tell how many lanes need to be open now and in 30 min. Supermarket giant Kroger, reports The Wall Street Journal (May 2, 2013), is winning the war against lengthy checkout lines with a powerful weapon: infrared cameras long used by the military and law-enforcement to track people. These cameras, which detect body heat, sit at the entrances and above cash registers at most of Kroger’s roughly 2,400 stores. 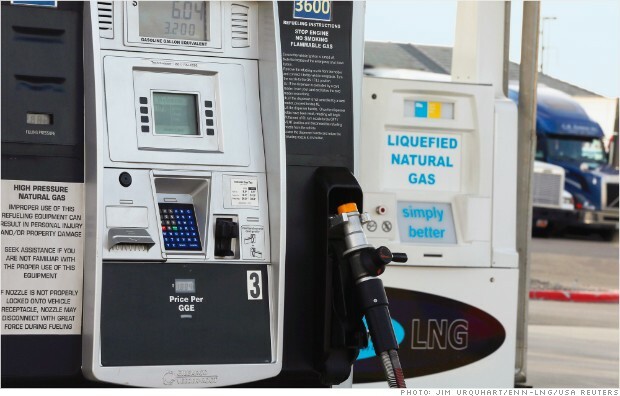 Paired with in-house software that determines the number of lanes that need to be open, the technology has reduced the customer’s average wait time to 26 seconds. That compares with an average of four minutes before Kroger began installing the cameras in 2010. 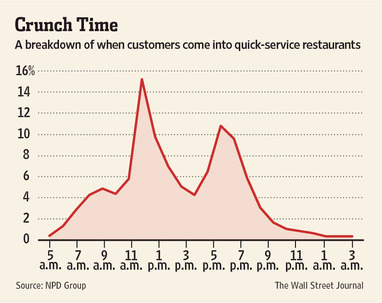 Reducing wait times is becoming a top priority for retailers, from high-end department stores to hardware chains to fast-food outlets. Battling both online rivals that offer at-home convenience and intensifying competition among fellow brick-and-mortar outlets, many companies see enhancing the shopping experience as a way to build loyalty. 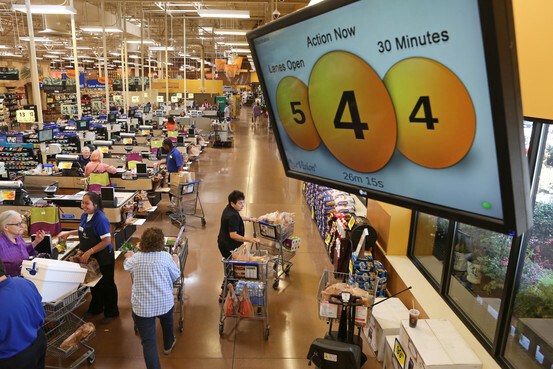 Kroger’s system, dubbed QueVision, is now in about 95% of its stores. The system includes software developed by Kroger’s IT department that predicts for each store how long those customers spend shopping based on the day and time. The system determines the number of lanes that need to be open in 30-minute increments, and displays the information on monitors above the lanes so supervisors can deploy cashiers accordingly. The company says surveys show customer perception of its checkout speed has improved markedly since 2010. “The bottom line is we want our checkout experience to be the best, and it’s our goal that our customers will enjoy the experience so much that they’ll want to return,” says Kroger’s senior VP. Launching a new enterprise—whether it’s a tech start-up, a small business, or an initiative within a large corporation—has always been a hit-or-miss proposition. According to the decades-old formula, you write a business plan, pitch it to investors, assemble a team, introduce a product, and start selling as hard as you can. And somewhere in this sequence of events, you’ll probably suffer a fatal setback. The odds are not with you: As new research by Harvard shows, 75% of all start-ups fail. 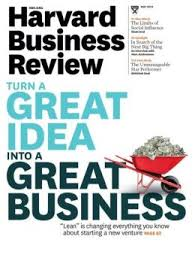 We’ve now learned at least three things, writes the May, 2013 issue ofHarvard Business Review : 1. Business plans rarely survive first contact with customers. As the boxer Mike Tyson once said about his opponents’ prefight strategies: “Everybody has a plan until they get punched in the mouth.” 2. No one besides venture capitalists and the late Soviet Union requires five-year plans to forecast complete unknowns. These plans are generally fiction, and dreaming them up is almost always a waste of time. 3. Start-ups are not smaller versions of large companies. They do not unfold in accordance with master plans. The ones that ultimately succeed go quickly from failure to failure, all the while adapting, iterating on, and improving their initial ideas as they continually learn from customers. One of the critical differences is that while existing companies execute a business model, start-ups look for one. This distinction is at the heart of the lean start-up approach. It shapes the lean definition of a start-up: a temporary organization designed to search for a repeatable and scalable business model. With examples from Amazon, Roominate, GE, Qualcomm, and Intuit, this article makes the point that make people in every kind of organization—start-ups, small businesses, corporations, and government—are feeling the pressure of rapid change. The lean start-up approach will help them meet it head-on, innovate rapidly, and transform business as we know it.